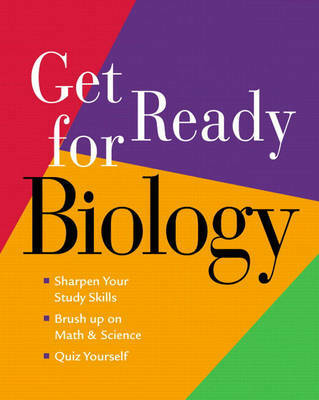 Adapted from Lori Garrett's successful "Get Ready for A&P," this workbook saves classroom time and frustration by helping students quickly prepare for the General Biology course for Biology Majors. The hands-on activities get students up to speed with basic study skills, math skills, biological terminology, basic chemistry, and cell biology. Each topic area includes a pre-test, guided explanation, interactive quizzes and exercises, and end-of-chapter cumulative tests.